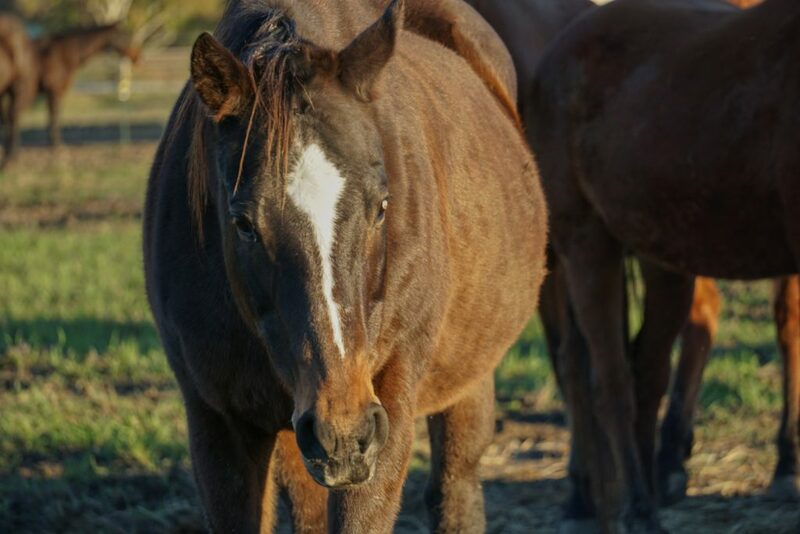 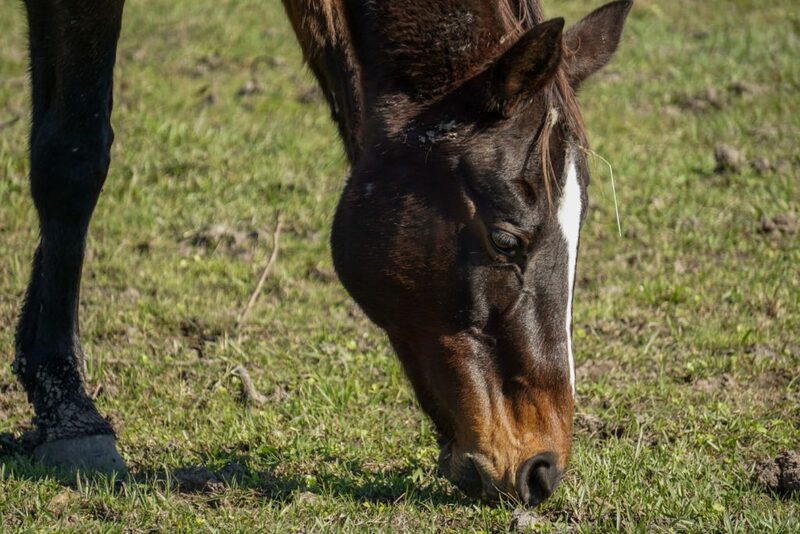 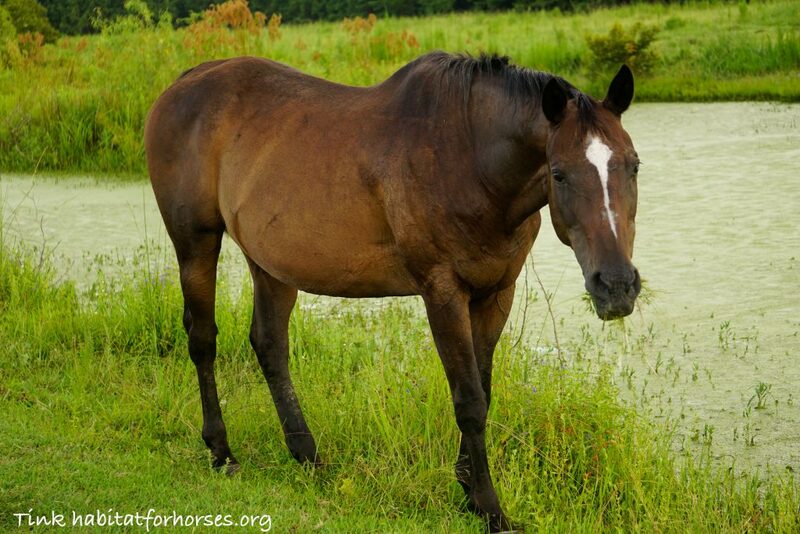 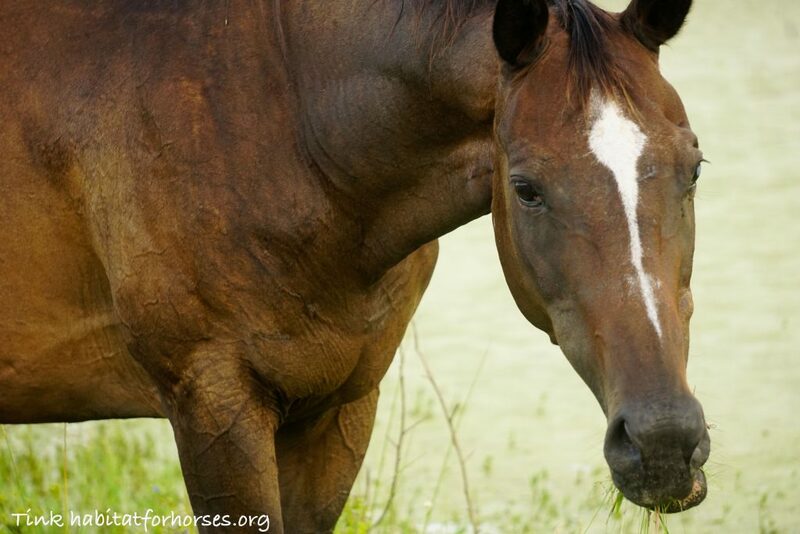 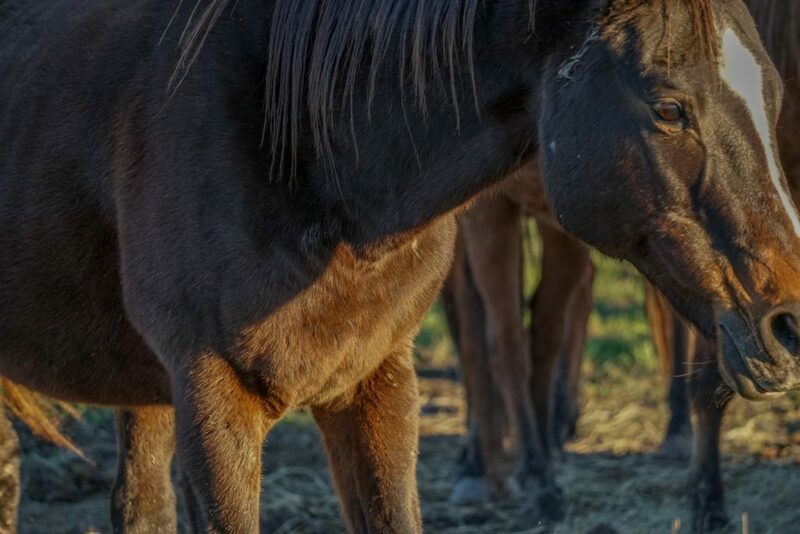 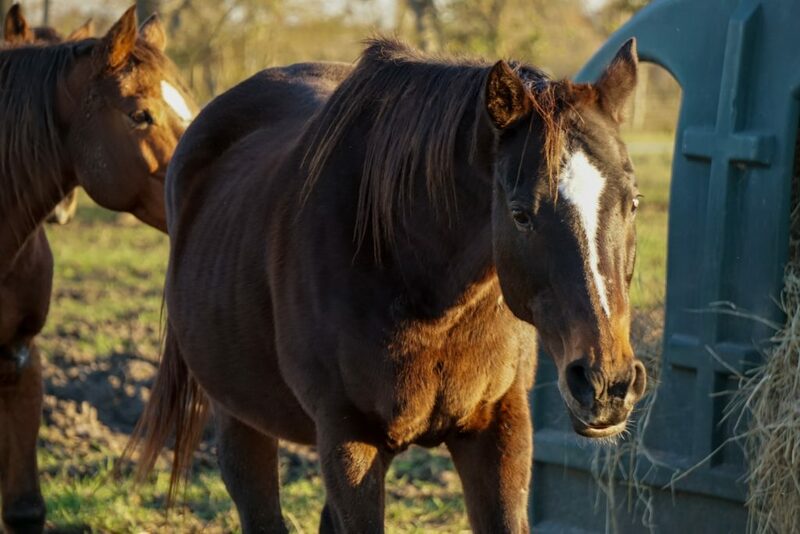 Tink is a 20 year old Quarter Horse with scarring in her left eye, which may decrease in size with time. 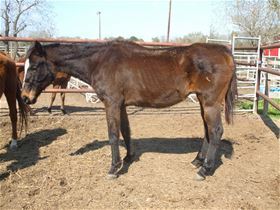 Tink stands tied, picks up all four feet, and has good ground manners. 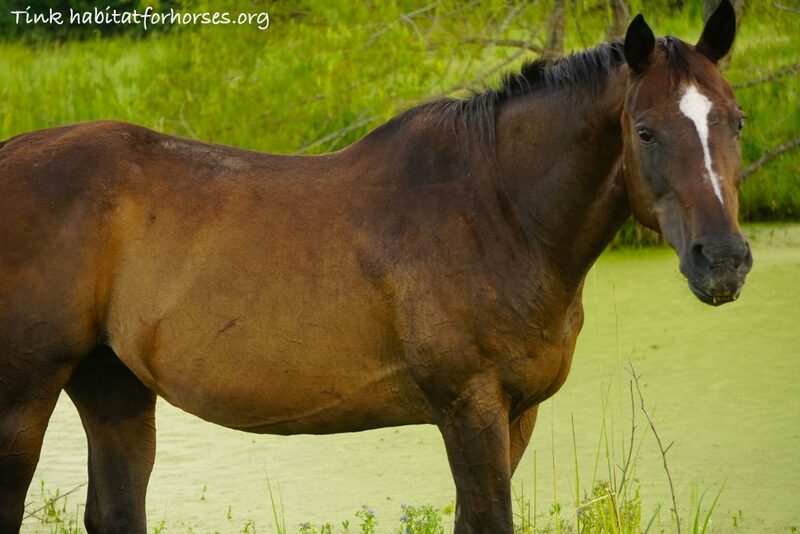 Our trainers will not evaluate her under saddle, until she is up to proper weight. 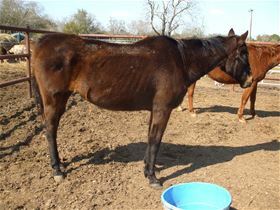 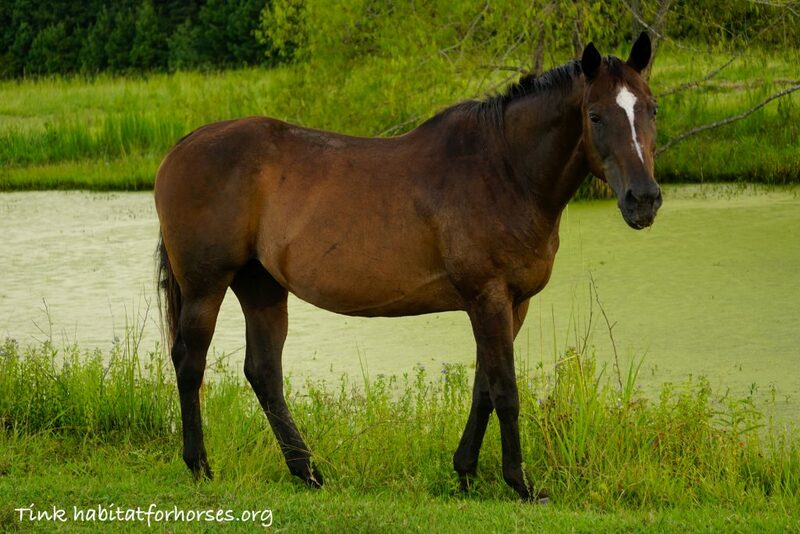 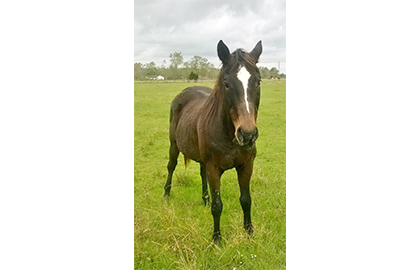 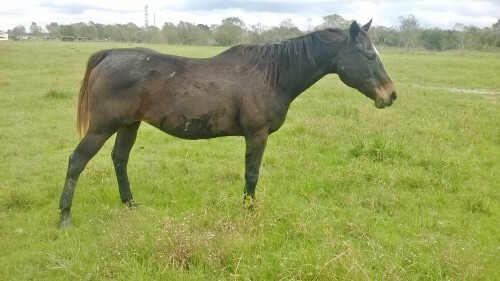 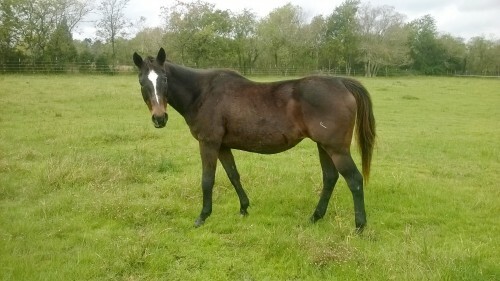 If you are interested in Tink, please contact Habitat for Horses via phone or email.